DXL designs and builds high quality, custom cabinetry for new homes and renovations. We have the capabilities to design and fabricate the cabinetry to our client’s needs and specifications. 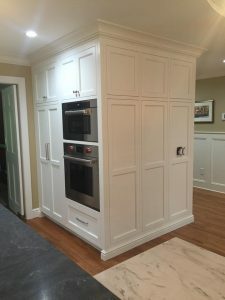 Our custom work includes, but is not limited to – kitchen cabinets, bathrooms, home theaters, bars, libraries, closets, utility rooms and garages. Our cabinets are more than just storage. They’re an instant focal point for any room, tying the space together while setting it apart. Our approach is fully centered on your needs, taking into account your lifestyle, functionality requirements, aesthetic tastes, and budget. Whether you come to us with an existing idea or are looking for insight, our craftsmen and designers truly enjoy the challenge of designing something completely custom.